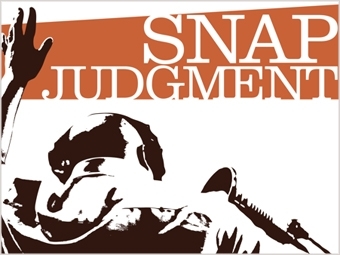 Snap Judgment is story-telling with a beat. Snap Judgment host, Glynn Washington, has a flare for the dramatic, a sharp wit, and a warm sense of humor. He introduces us to the voices of people with pivotal stories. This week’s episode is called "Drop Everything." Hear tales of urgency and priority: a journalist’s account of déjà vu in the presence of the Buddha; love at first sight; and romance gone awry in a foreign land. Tune in to VPR Saturday at 4pm for personal stories about decisions that define lives and change everything. Snap Judgment shares stories of people who are their own worst enemy. This week’s episode is called "51-50: Danger to Self"
Snap Judgment searches for that perfect place. Is Shangri-La just around the bend?